Holland resident and reenactor Drew Harrington will portray how the Ottawa Native Americans lived during the "Step Into The Past" event held this weekend at Huizenga Park in Zeeland. The history of the Zeeland area will come to life this weekend during the "Step Into The Past" event. 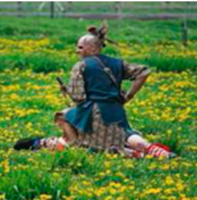 Sponsored by the Zeeland Historical Society, Step Into The Past aims to bring area residents on an educational journey back in time beginning when the Ottawa Indians lived off the land. The event, in its fifth year, will be held Friday through Sunday at Huizenga Park, located south of Business Route 196. 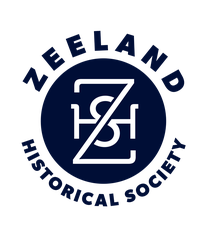 "The Zeeland Historical Society feels that educating our community about the history of our city and the surrounding communities, including all of Michigan, is a very important element of the mission of the society," Historical Society member Dawn Lievense said. "Step Into The Past is more than a re-enactment. It's original intent was to have a hands-on-learning, historical timeline event." That timeline begins with the Ottawa Native American tribes. Holland resident and re-enactor Drew Harrington will portray how the Native Americans lived. Next on the timeline will be the settling of the land by French Colonials in the 1700s and then soldiers from the Civil War and World War I and II. The history of the Boy Scouts of America, beginning in 1910, also will be exhibited along with a car show featuring vintage cars. Friday will be a special school-only day for area fourth- and fifth-graders. On Saturday, the event will kick off with an opening ceremony at 10 a.m.
"Here we have an awesome flag ceremony with accounts of the history of our country read by the different re-enactors from the different time eras," Lievense said. She said Zeeland Cub Scout Pack 3048 will assist in the ceremony by marching in flags from the various time eras. The event runs from 10 a.m. to 7 p.m. Saturday with the car show scheduled from 10 a.m. to 3 p.m. On Sunday, the activities will begin at 10 a.m. with a church service led by preacher and Civil War re-enactor George Zepik and featuring old-time gospel music. Demonstrations will last until 4 p.m.
Lievense said more than 1,000 people attended the event last year. For more information, visit www.stepintothepast.org.